The instant Shi Feng clicked "Absorb," the Heavenly Dragon's Breath on his finger trembled faintly. Wisps of silver mist flowed from the Silver Dragon's heart and into the ring. At the same time, a long loading bar appeared before Shi Feng. As the loading bar began to fill, a golden magic array appeared beneath Shi Feng's feet. Numerous small, purple magic arrays also began to appear beside his hand, becoming more intricate as the loading bar filled. Line after line of divine runes automatically appeared and melded with these magic arrays, continuously perfecting them. If another player saw Shi Feng's eyes, they would also discover a silver magic array in each, the arrays' complexity surpa.s.sing even that of a threefold magic array. Shi Feng elation grew when he saw the restoration work for the Heavenly Dragon's Breath begin. Fragmented Legendary items were exceedingly rare throughout G.o.d's Domain. Each item could easily incite an all-out war between large Guilds. No Epic item could compare to its value. In the past, despite Shadow being a second-rate Guild and having established ten city-states, the Guild had not possessed a single Fragmented Legendary item. If Shi Feng had owned a Fragmented Legendary item back then, the item would have helped him become a Tier 4 Sword Emperor, even if his body were weak. Previously, in the Dark Arena, the Heavenly Dragon's Breath had played a ma.s.sive role in his victory against Sirius from the Battle Wolves. It was also why he had been able to defeat one apex expert after another in this life. If he could upgrade the Heavenly Dragon's Breath, with the strength of the Abyssal Blade's hidden effect, he wouldn't need to utilize the double-edged sword of his Twofold Berserk to contend with monster-like experts. After all, Fragmented Legendary items were insanely rare. Even now, he had not heard of anyone, aside from himself and Fire Dance with her Thousand Transformations, owning one. At most, he had seen others wielding Epic Weapons and Equipment. After quite some, the loading bar finally reached 1%. This pulled a frown from Shi Feng. The ring's restoration required too much time. Meanwhile, the Silver Dragon's HP was still recovering. When the Silver Dragon's HP was full once again, it would definitely wake. At that time, he would lose his opportunity to absorb the Dragon's Heart's power. "Hurry! Please!" Shi Feng panicked as he watched the Silver Dragon's HP reach 30%, whereas his absorption progress had only climbed to 4%. Moreover, Shi Feng still had to worry about those Mutants. "Please, you guys have to hold on for a little longer!" Shi Feng prayed as he watched the loading bar reach 5%. When the Silver Dragon's HP recovered to 50%, Shi Feng's restoration progress had only reached 32%. Although his restoration speed was slightly faster than the Dragon's recovery speed, the latter's HP was nearly full. Meanwhile, White Night's team also faced an intense situation. From the start of the battle to now, White Night's team of 100 had fallen to around 70 players. In contrast, only three Common Mutants had died so far. If a team of ordinary, even elite, players stood against these Mutants, the monsters would have long since annihilated them without losing a single Mutant. The fact that Owl had persisted until now and had performed so stunningly proved that there had been a reason for their legendary reputations in the past. "Don't hold back! Use all of the Magic Scrolls we have!" White Night ordered when the team reached the top of a steep hill. In G.o.d's Domain, the terrain was an important factor in determining the outcome of a battle. White Night's main goal behind the retreat was to move to favorable terrain. In a battle between players, steep highlands were easily defensible. Now that the team was on higher ground, they only needed to repel the incoming enemies. They could prevent the Mutants from surrounding them. Under White Night's command, everyone on the team gnashed their teeth as they took out their precious Magic Scrolls and tools. If they couldn't stop the incoming Mutants in time, they would use every Magic Scroll they had to force these monsters back. Like this, they fought off one wave after another. After a short period, two more Common Mutants died. However, these Mutants were not easy foes, either. Realizing that the battle was at a standstill, the dozen or so Elite Mutants began to work together to block White Night and his melee companions' attacks, creating opportunities for the Common Mutants to break through Owl's defensive line. "Boss, I'm nearly out of Mana. If this goes on, they will exhaust us to death, even if they can't kill us directly," a Level 38 male Cleric anxiously reported as he glanced at his remaining Mana. This battle was far more taxing than any Boss battle they had fought so far. In the past, he had only needed to focus on healing the lead MT. Now, however, he also had to heal the rest of the team, which significantly increased his Mana consumption. Moreover, they had already exhausted themselves during the battle against the Silver Dragon. "Healers, control your Mana usage. If your Mana is running out, drink a potion. Melees, focus on pinning the monsters down; don't fight. Try to reduce the burden on the healers as much as possible. If your HP is low, drink a potion," White Night commanded. He also knew how dire their situation was. He had not expected that these Mutants to be so strong and possess such high intelligence. If they continued fighting as they were, their only outcome would be a team-wipe. As the seconds and minutes pa.s.sed, White Night's team lost members. Elsewhere, Shi Feng's anxiety grew with each pa.s.sing second. The Silver Dragon's HP had already reached 97%, while the Heavenly Dragon's Breath's restoration had only reached 93%. It was likely that the Dragon would wake before the ring's restoration completed. Faster! Faster! Just a little more! Shi Feng inwardly yelled. He had never been this nervous after re-entering G.o.d's Domain in this life. When the Heavenly Dragon's Breath's restoration reached 99%, the Silver Dragon's HP bar finished filling. The Dragon's ma.s.sive eyelids slowly opened. The Silver Dragon noticed Shi Feng immediately, and flames of rage filled its gaze. "Despicable human! You dare try to steal my power!" the Silver Dragon bellowed. Widening its jaws, it used Dragon Breath on Shi Feng. Without hesitation, Shi Feng initiated Absolute Defense, the Aura of Earth's Activatable Skill, which he had long since prepared. The powerful Dragon Breath created a ma.s.sive crater around Shi Feng. Even White Night and the others, who were fighting quite a distance away, felt the ground tremble. Shi Feng held onto one of the Silver Dragon's scales with one hand, while his other hand pressed against the Dragon's side over its heart, absorbing the power of the Dragon's Heart. Although Shi Feng had not received any damage, he was dazed. However, the Heavenly Dragon's Breath's restoration finally reached 100%. The magic arrays that surrounded him then began to merge with the ring, one after another. As if the ring had awoken from its slumber, it radiated an astounding aura. The ring no longer felt like an inanimate object. 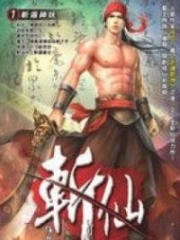 You're Read Reincarnation Of The Strongest Sword God Chapter 873 - Ring Of Legends Awakens online at NovelOnlineFull.com. You can use the follow function to bookmark your favorite novel ( Only for registered users ). If you find any errors ( can't read,broken links, can't load photos, etc.. ), Please let us know so we can fix it as soon as possible. And when you start a conversation or debate about a certain topic with other people, please do not offend them just because you don't like their opinions. You're reading Reincarnation Of The Strongest Sword God. This manga has been translated by Updating. Author(s): Lucky Cat. Already has 1662 views. Current Time is 19-Apr-2019 01:01:26 AM.